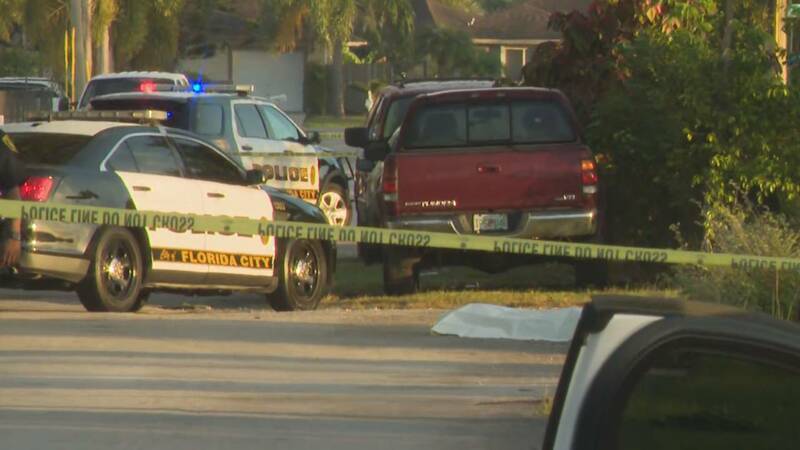 FLORIDA CITY, Fla. - A man was fatally shot early Wednesday morning in Florida City. The shooting was reported in the area of Northwest First Street and Ninth Avenue. Surveillance video shows people frantically running to the nearby Chevron gas station for help. Local 10 News was at the scene as a tarp covered the victim's body. The victim's mother identified her son as 23-year-old Joseph Lee Arrasola. "I don't know what to say because he's only 23. For them to kill him, just like that," Marina Torres said. Torres told Local 10 News that her son was walking from the gas station, heading to a friend's house on Northwest Ninth Avenue when he was found shot to death around 3 a.m.
She said he was just steps away from home. "I don't know what to say -- just the pain and the hurt inside, the emptiness -- and he has two kids," Torres said. "That's the bad thing. He has a 5-year-old and a 1-year-old. How am I suppose to tell them?" Police said the father of two was with someone at the time he was shot and they are still searching for that person. "All I know is they killed my kid. For what reason, I don't know," Torres said.